I had the pleasure of speaking with international advancement colleagues earlier this month. 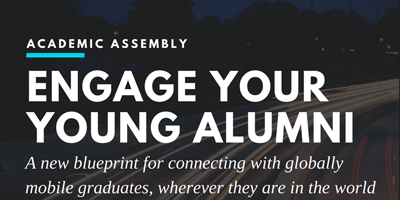 They asked me, “How can we boost our international alumni chapters while engaging with our international young alumni?” That question sparked my newest idea outlined here. I hope institutions can take away something from what may become a best practice for inter-generational affinity to homeland, alma mater and their global alumni community.